Come to the best day of your life! 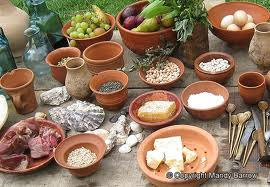 You will get to enjoy a range of Roman foods from salads to seasoned bread. 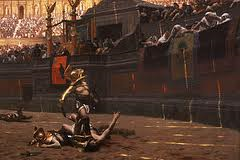 Also there is a huge gladiators and a variety of fantastic entertainment. COME COME I CAN GUARANTEE YOU WILL HAVE JUST A tiny BIT TOO MUCH FUN!! 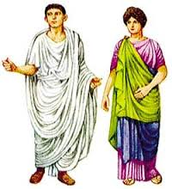 Besides tunics, women wore a simple garment known as a stola. Over the stola, women often wore the palla, a sort of shawl. Ordinary Roman men wore a toga and tunic. 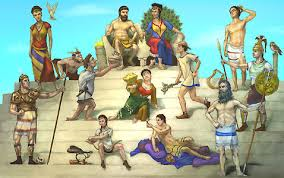 The tunic was considered an under garment whereas the toga was considered an outer garment. 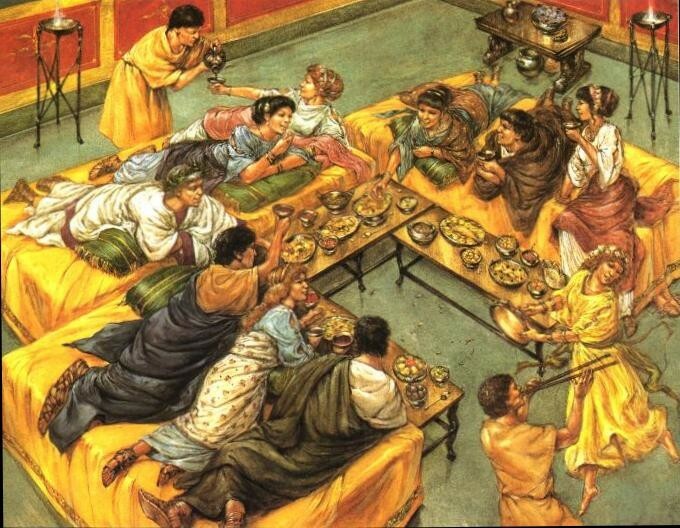 The Romans enjoyed many different forms of entertainment, most of which were free. Theatres were scattered throughout the city and empire. These theatres were large, open air theatres that could seat as few as 7,000. Various plays were performed in the theatres. The name of the theatres were amphitheatre such as the colosseum and the Circus Maximus.